Actos® is a type of Pioglitazone, which the FDA has been warning about since 2007. This drug is known to increase the risk of blood clots and heart problems that could lead to stroke and heart attacks. It also is known to cause fluid retention which could result in anything from weight gain to congestive heart failure. One of the more recent and severe side effects of the drug is bladder cancer. Those who have been taking Actos® for at least a year could be at a 40 percent increased risk of developing bladder cancer. If you notice changes in urination and pain in your abdomen, this could be a sign that you have developed this disease. Seek the help of a medical professional for a diagnosis, and then call an experienced Actos® lawyer who can help you file a lawsuit and get the claim you deserve. If you are or used to be an Actos® user and you developed a serious side effect as a result then you are entitled to a claim. An attorney from our firm can help you file a claim and fight for your rights. At Zinda Law Group we are absolutely committed to our clients, so if you developed a side effect as a direct result of your use of Actos® then don't hesitate to contact our firm. Pharmaceutical companies should always be held responsible for the harm that they cause patients, especially because negligence on their part results in serious injury and sometimes death. You are likely facing medical expenses and lost wages among other things during this time, and these deserve to be compensated for. 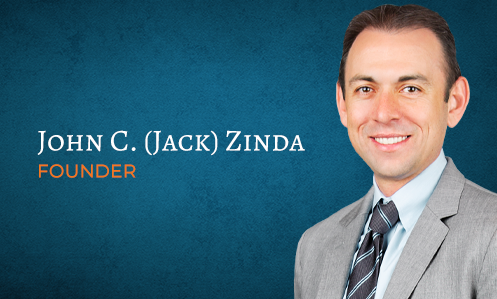 We are not afraid to go up against big drug companies and fight for our clients rights, so if you were harmed by Actos® and you are looking to file a claim, look no further than Zinda Law Group.